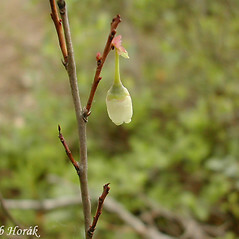 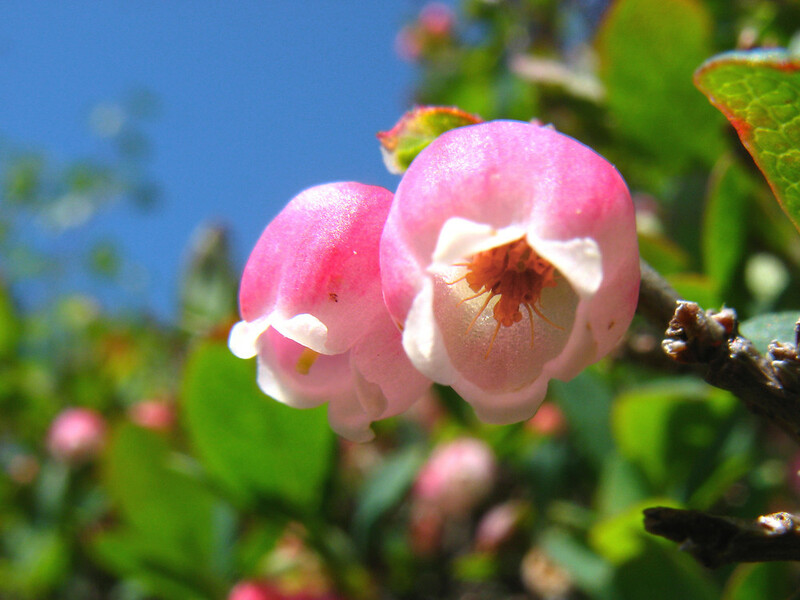 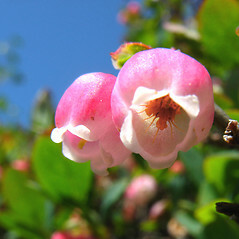 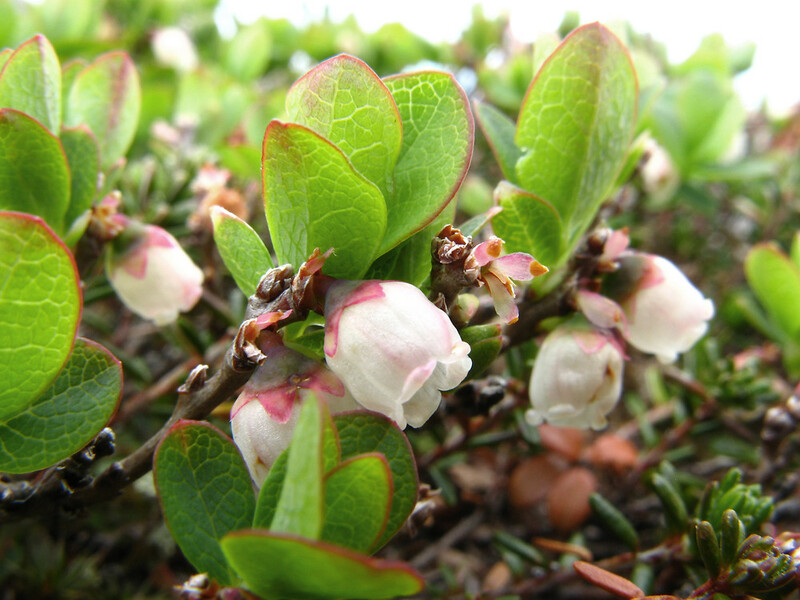 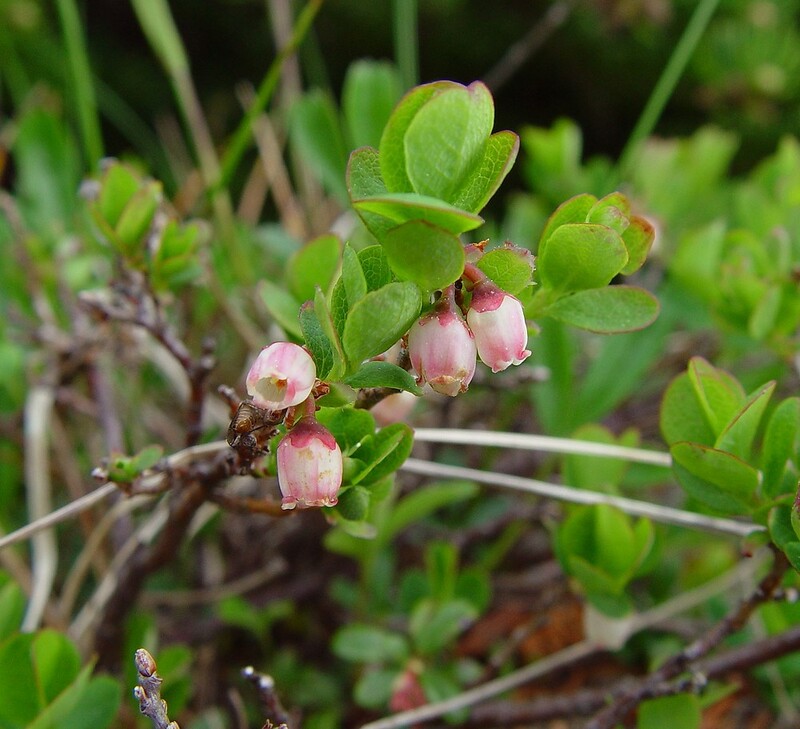 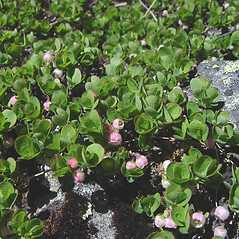 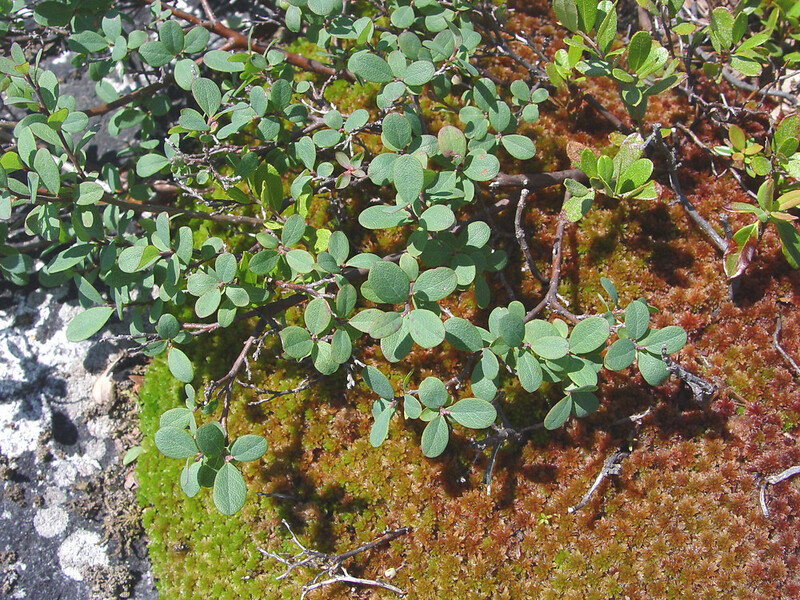 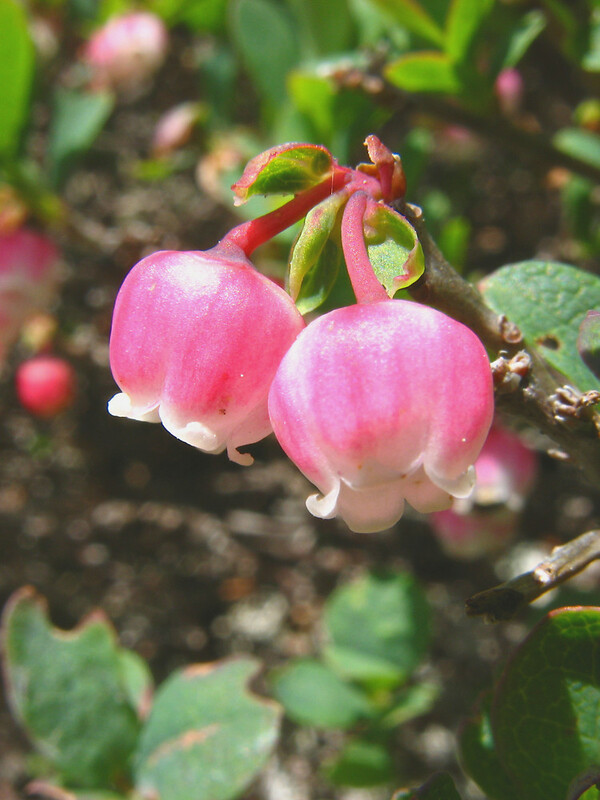 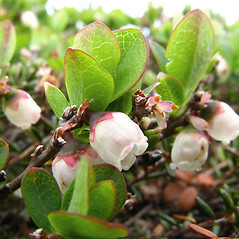 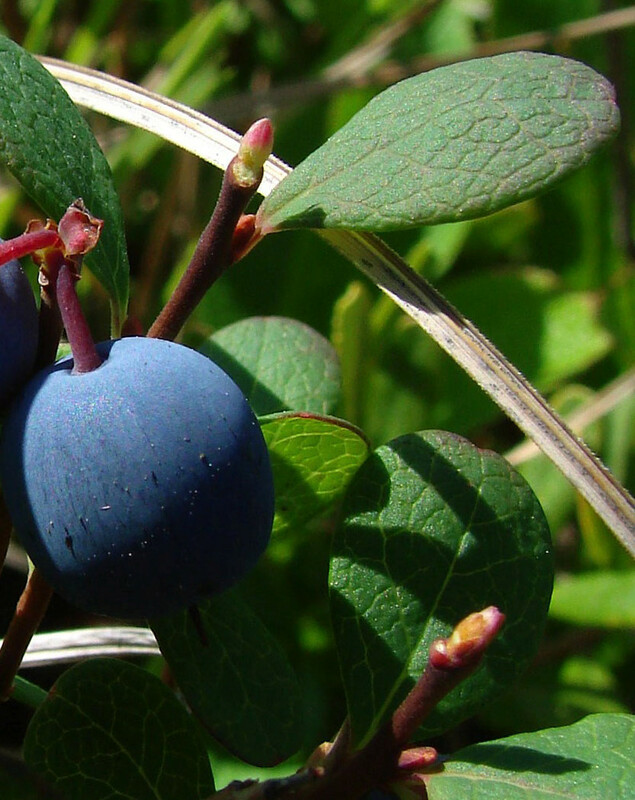 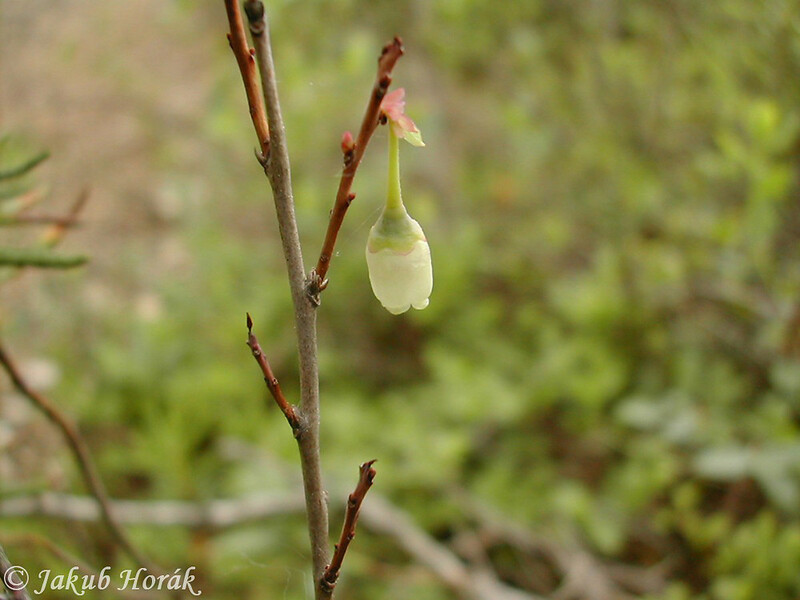 Alpine blueberry, as its common name suggests, is a resident of high-elevation and boreal habitats. 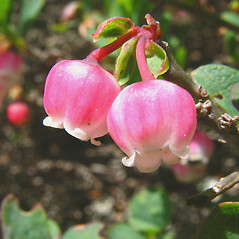 Its four-parted, urn-shaped flowers stay closed in bud. 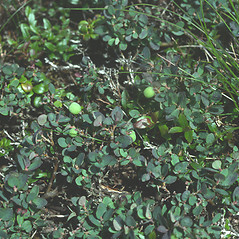 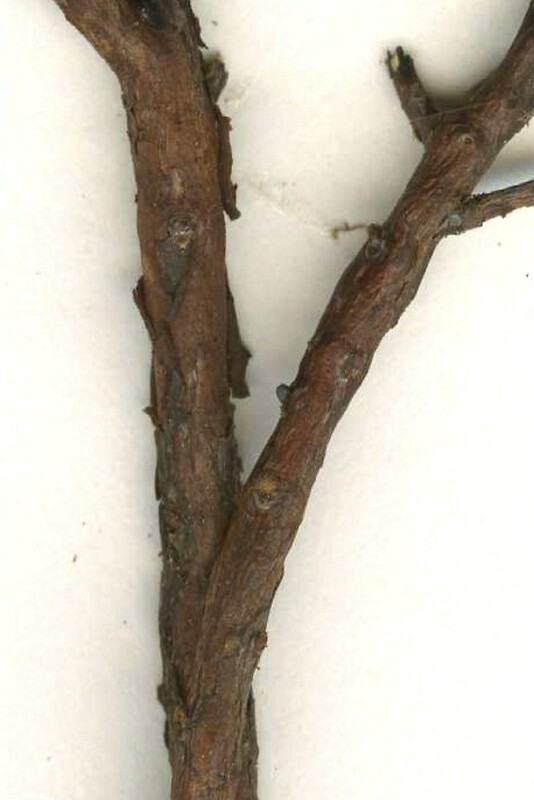 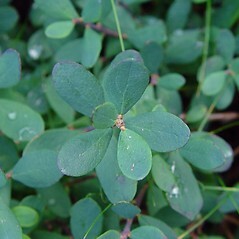 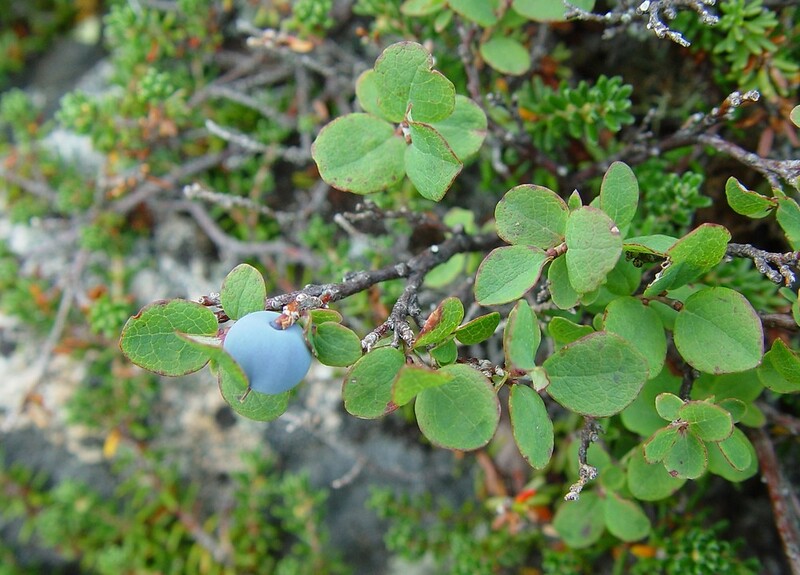 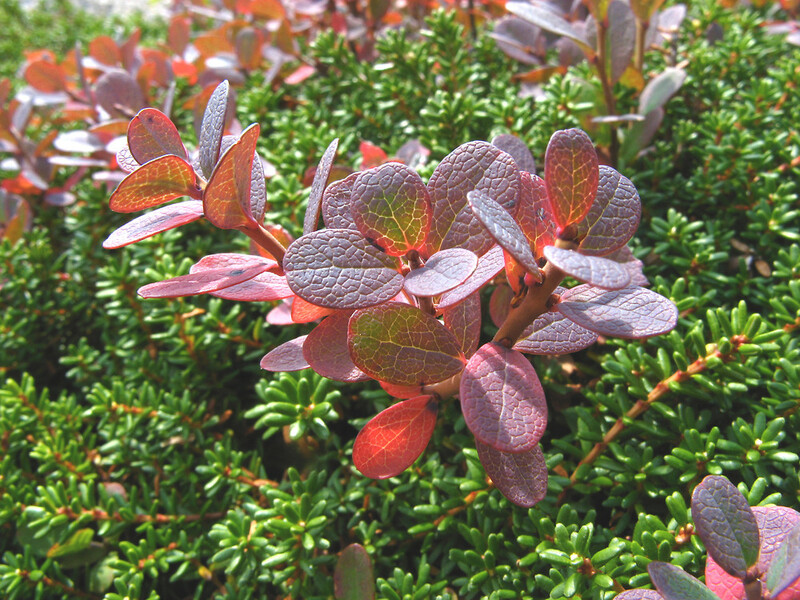 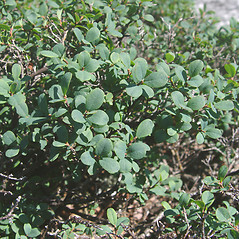 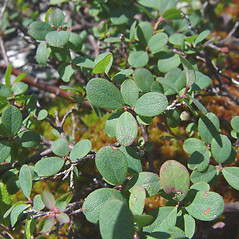 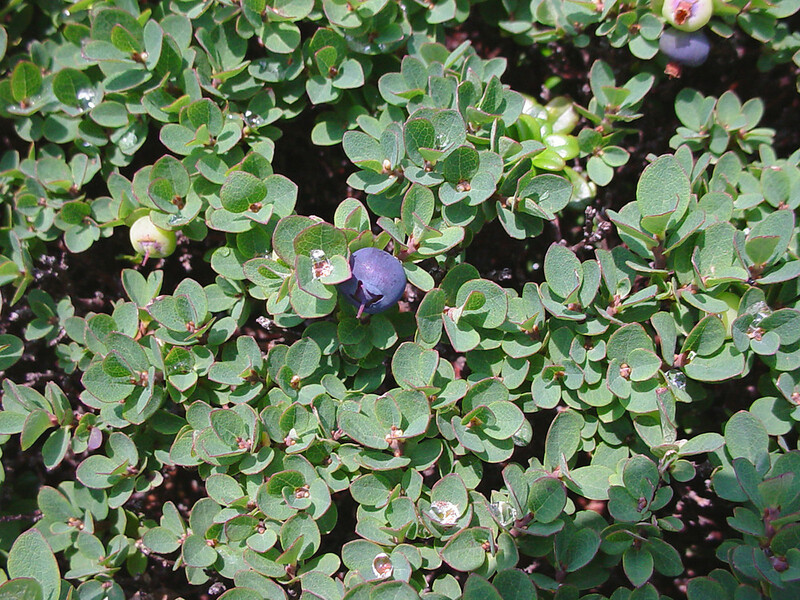 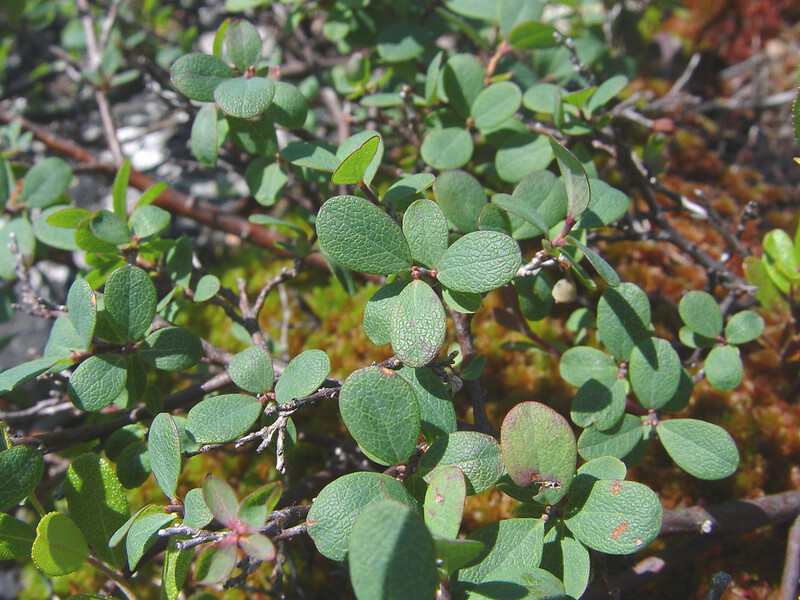 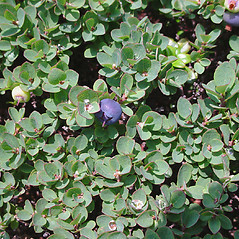 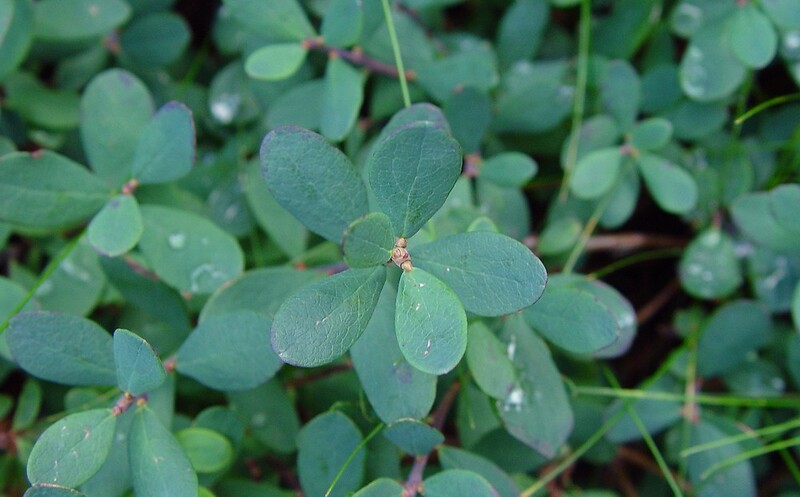 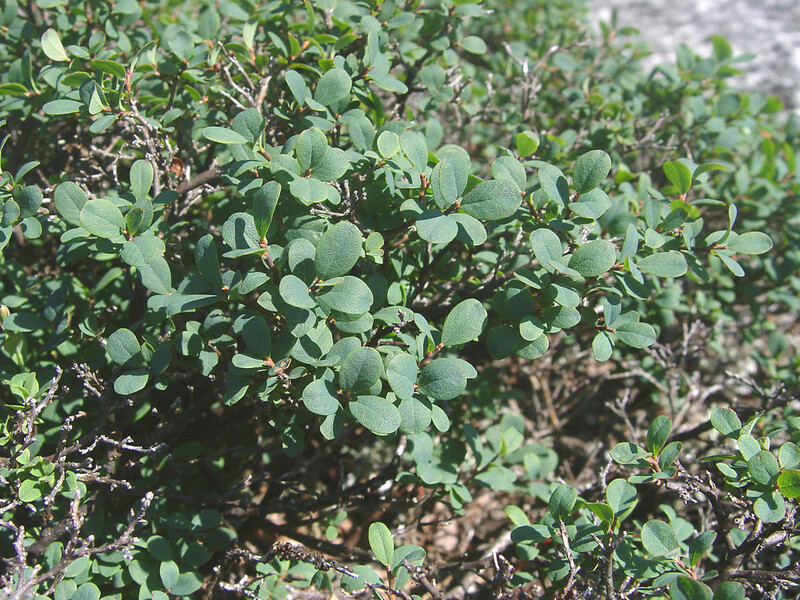 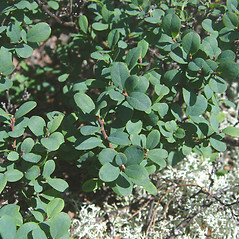 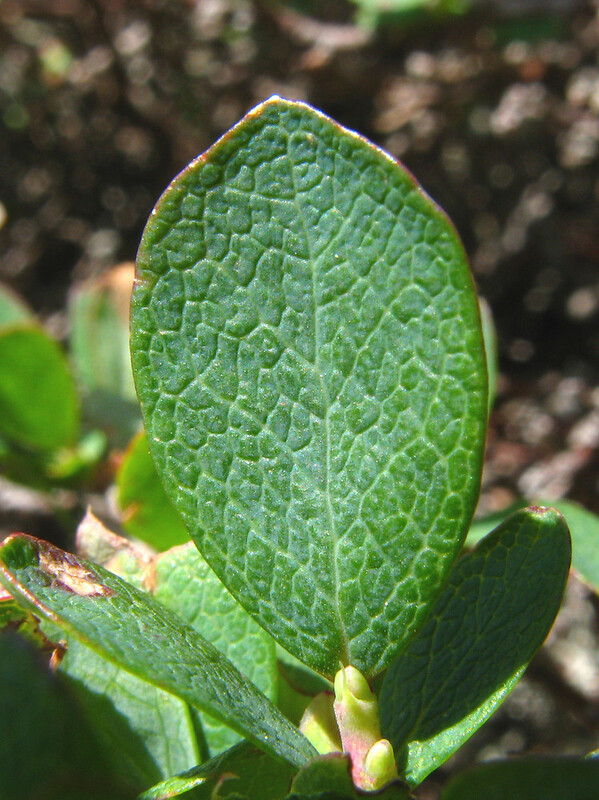 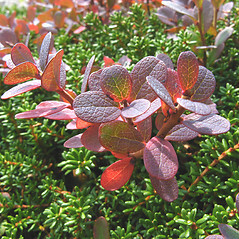 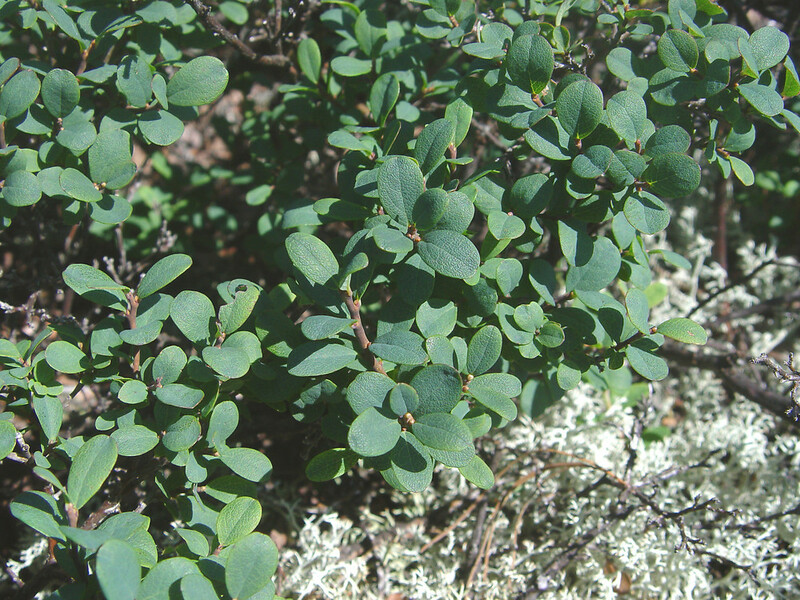 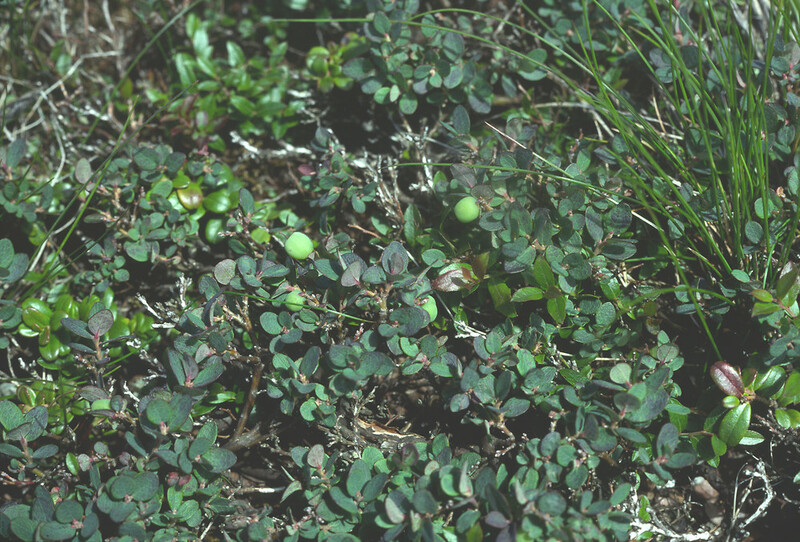 Alpine blueberry can grow in regions with bedrock and soils that are unusually high in metals and minerals; it concentrates these elements in its leaves. 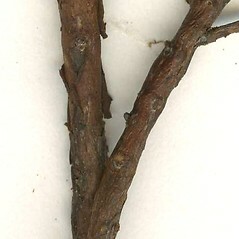 This tolerance may suit it for revegetating mine spoils. 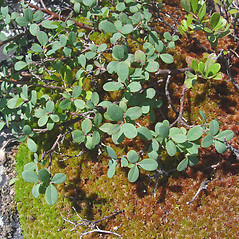 Some geologists have even suggested that the plant can be used as a biological indicator of soils rich in uranium and other valuable elements. 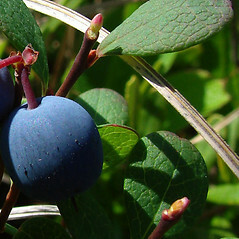 Where the plant grows in less metallic soils, the berries are edible. 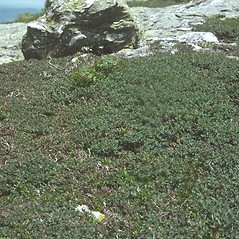 These low shrubs can provide important cover for ptarmigan and other small wildlife in open muskegs and alpine meadows. 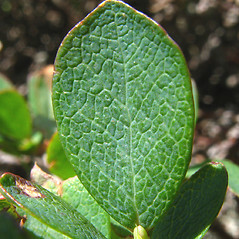 leaf blades pointed at apex, flowers with 5 apical lobes, and branchlets with minute, rounded bumps on surface (vs. V. uliginosum, with leaf blades rounded at apex, flowers with 4 apical lobes, and branchlets lacking rounded bumps). 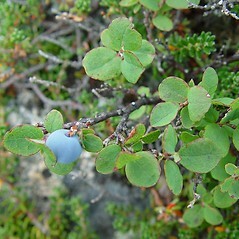 alpine blueberry. 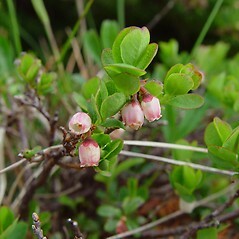 Vaccinium uliginosum L. ssp. 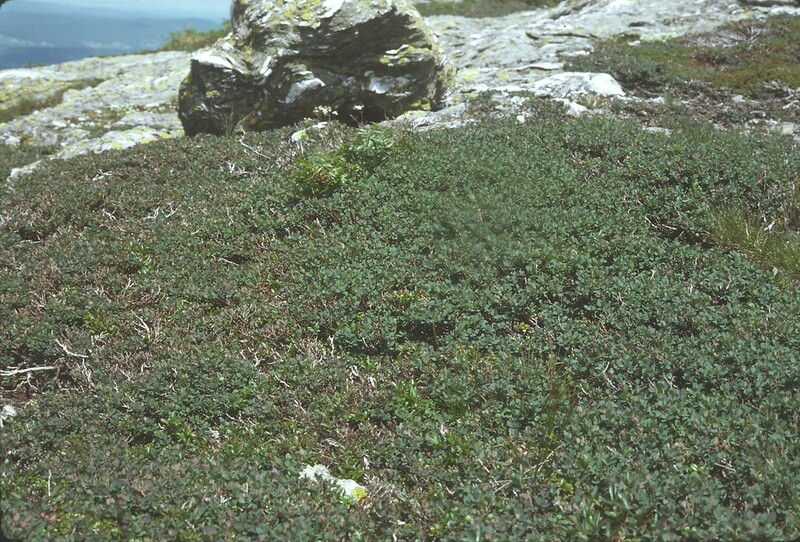 alpinum (Bigelow) Hultén; V. uliginosum L. var. 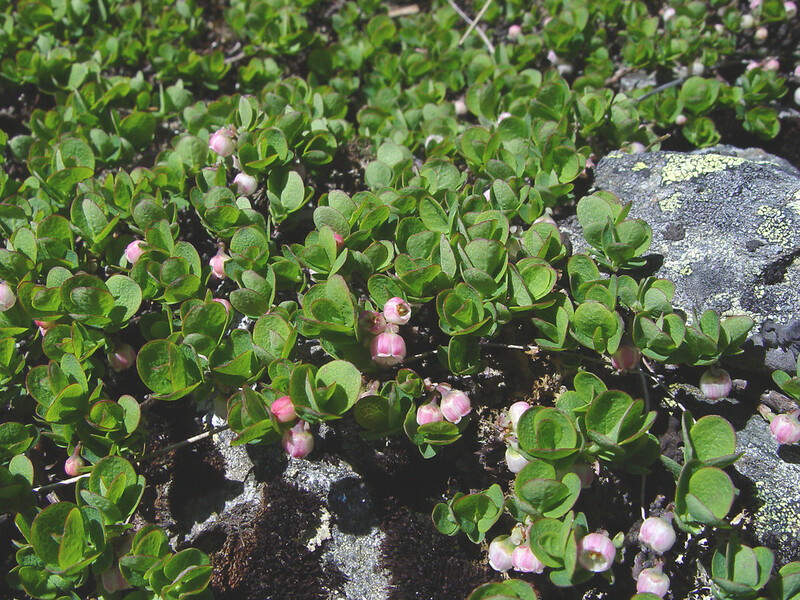 alpinum Bigelow • ME, NH, VT. Boreal, subalpine, and alpine summits, ridges, and plateaus.